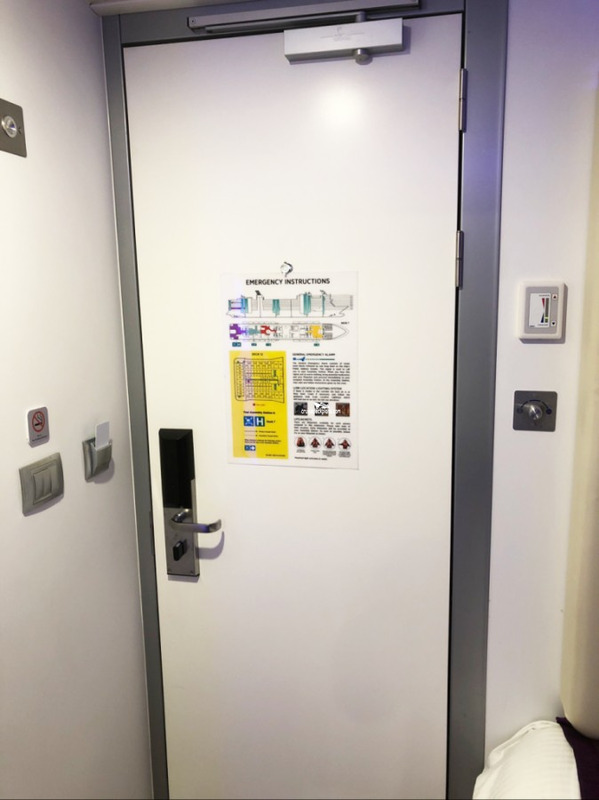 Amenities also include a distinctive key card, butler available to unpack luggage, bottled water, full in-suite breakfast menu, breakfast and lunch at specialty restaurant, fresh flower arrangement, and plush slippers and towels. 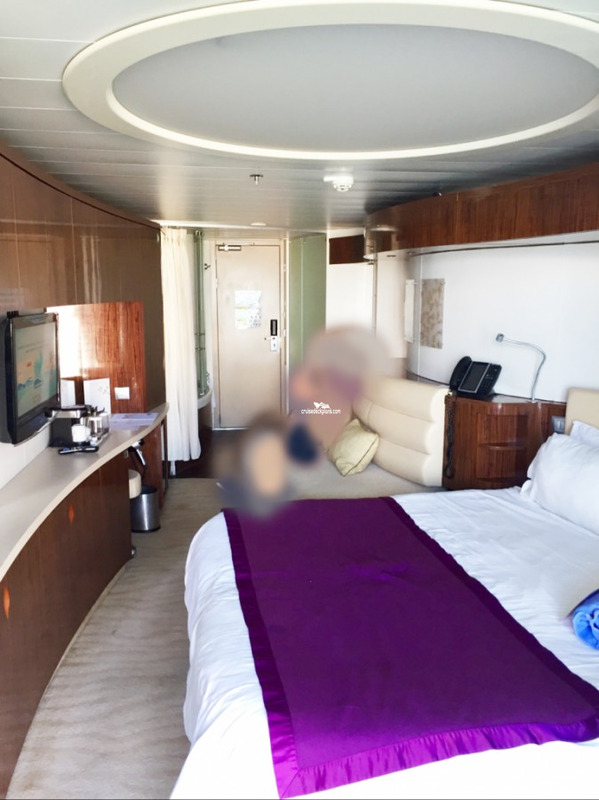 16002 and 16005 have floor to ceiling windows that overlook the bow from the lounge, solarium balcony and bedroom, the walk in shower has a massive window to the side (16002 has the window cleaning system parked outside the shower window). 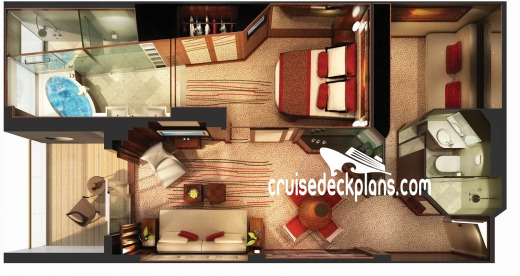 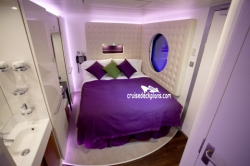 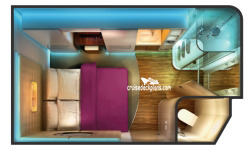 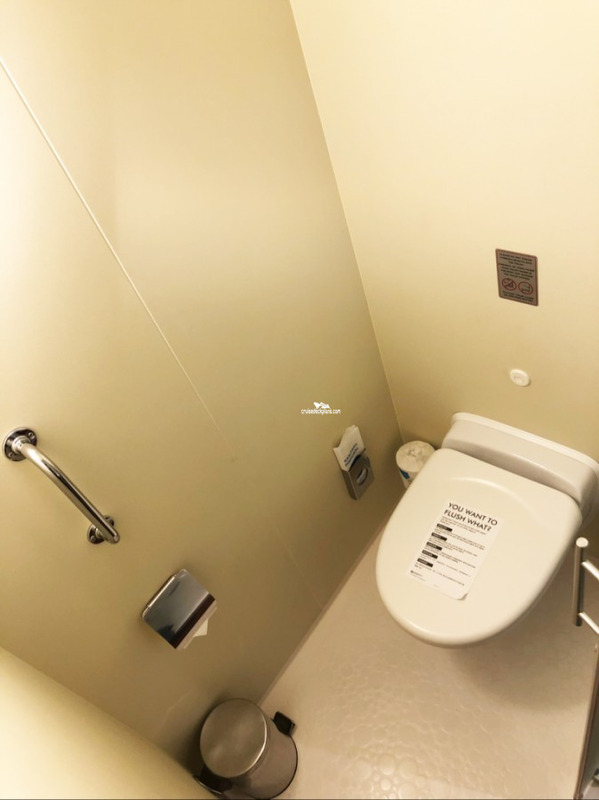 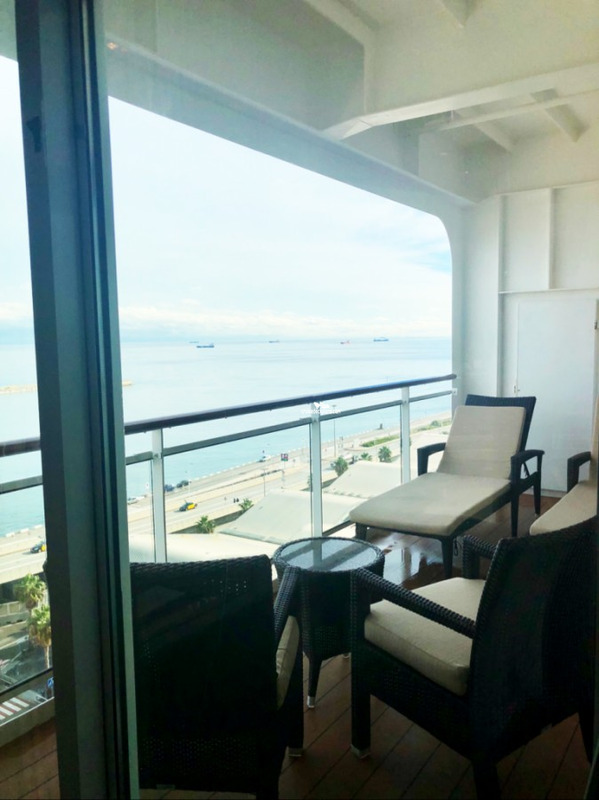 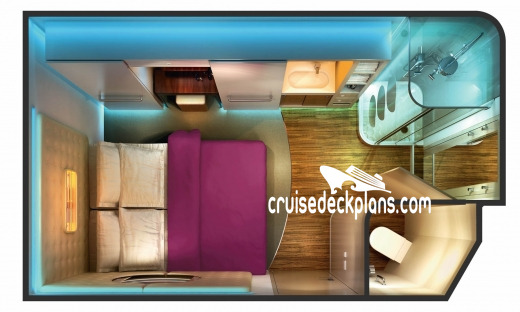 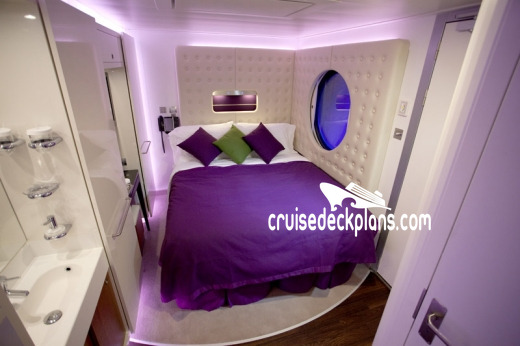 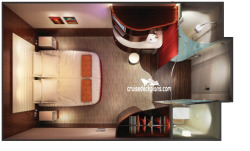 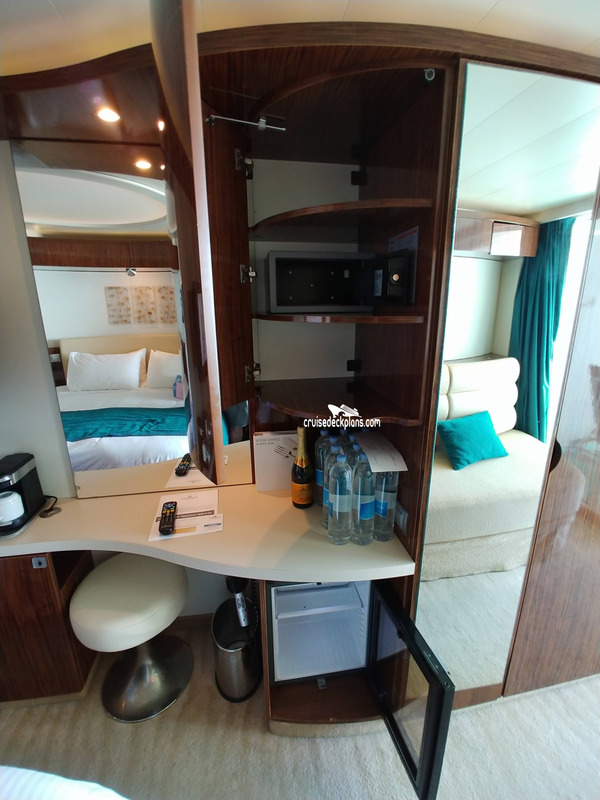 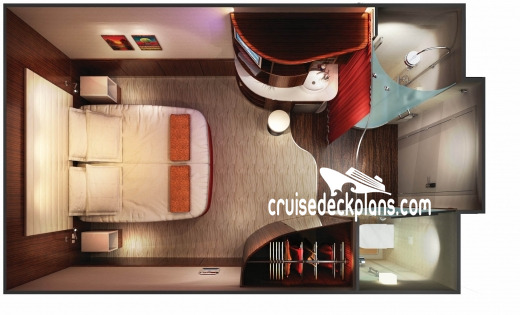 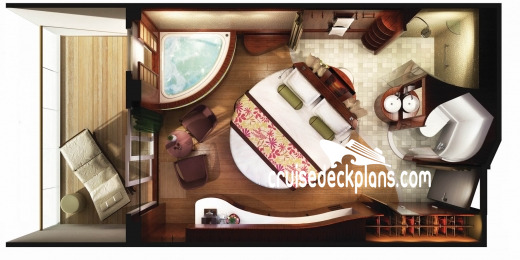 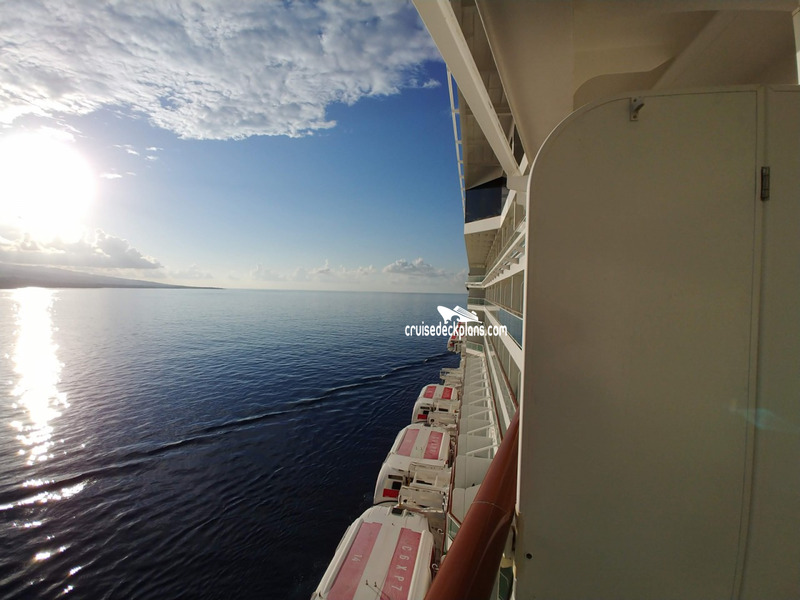 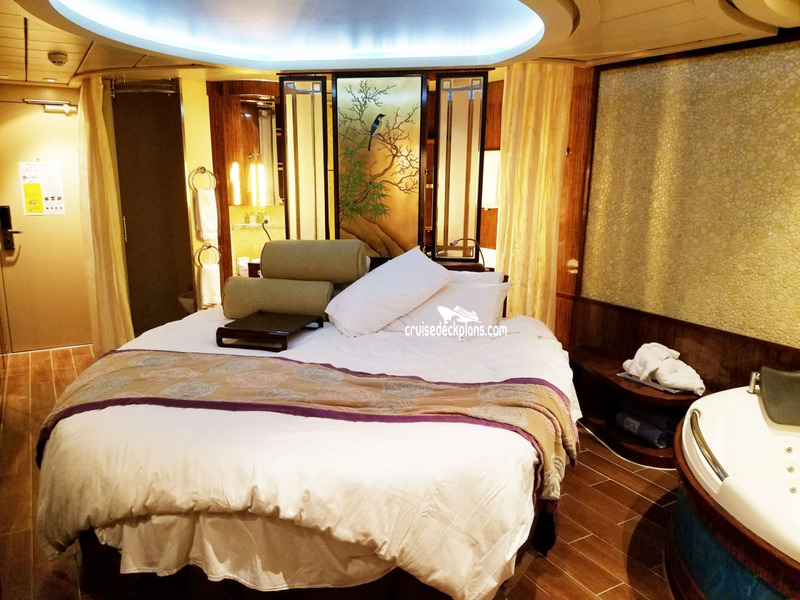 The enclosed balcony can be accessed through sliding doors from the lounge, bedroom and bathroom, and when sitting in the tub you look through the balcony to the front of the ship. 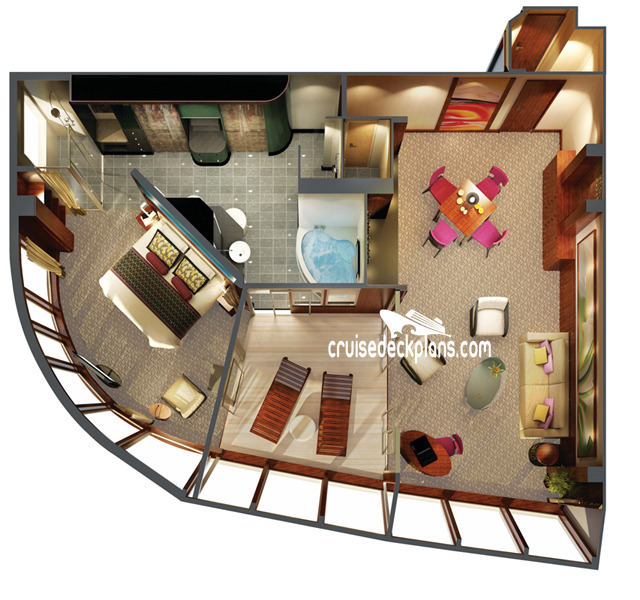 The enclosed balcony has three windows that slide open and has two loungers. 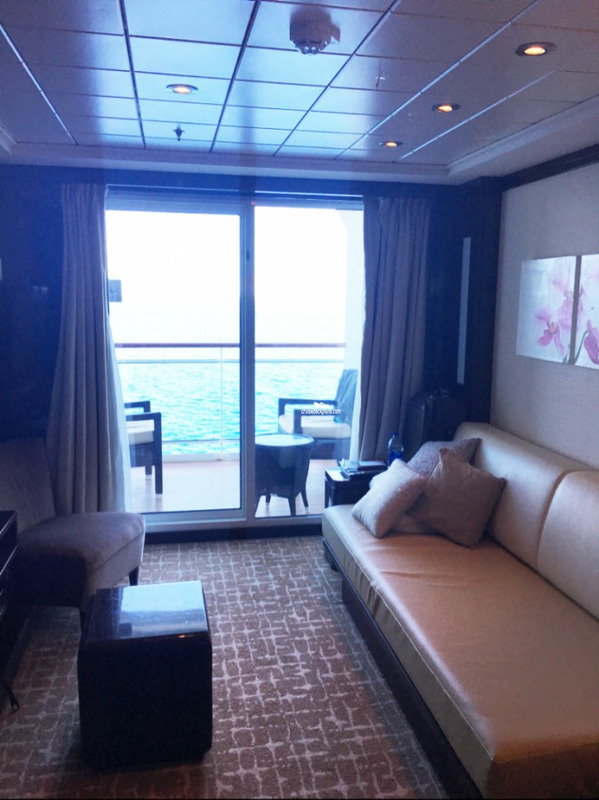 All the windows have drapes and or pull down blinds for privacy although other that seagulls no one can see you. 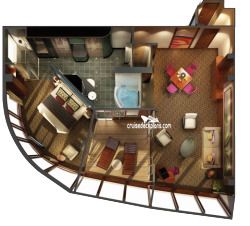 Below these suites is the Garden Cafe with no noise or food smells. 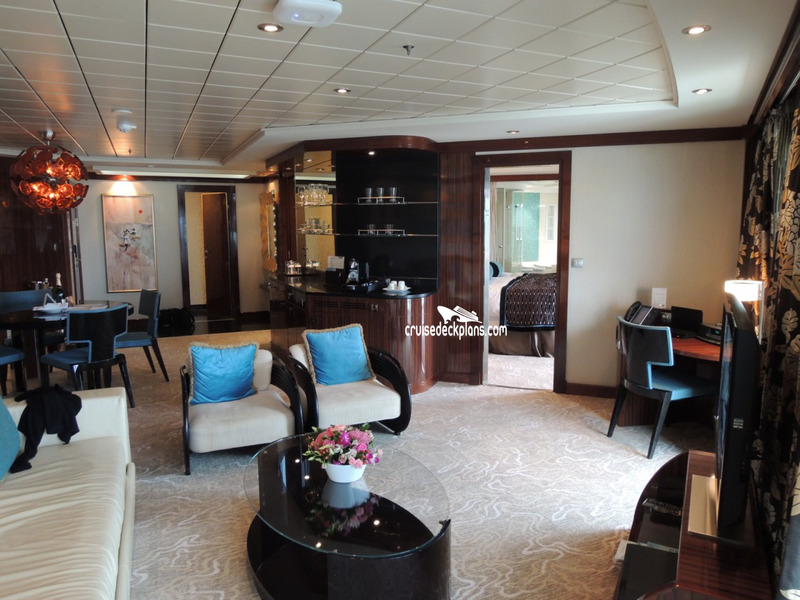 17004 and 17007 also overlook the bow but only from the bedroom and the bathroom tub, the lounge is squarer than 16002/05 because they have an open large side balcony accessed from the lounge and bathroom. 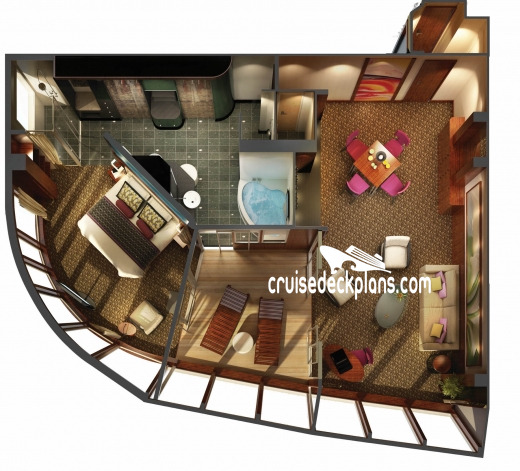 Cabin 17004 open side balcony is much larger than the side balconies of the Courtyard villas. 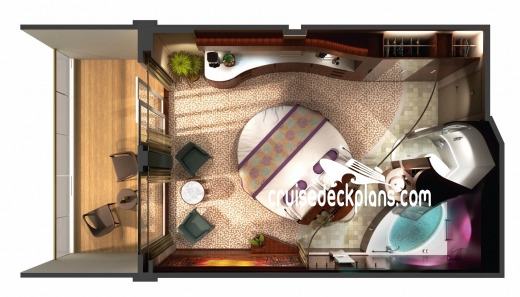 Above is the private sundeck for the Courtyard. 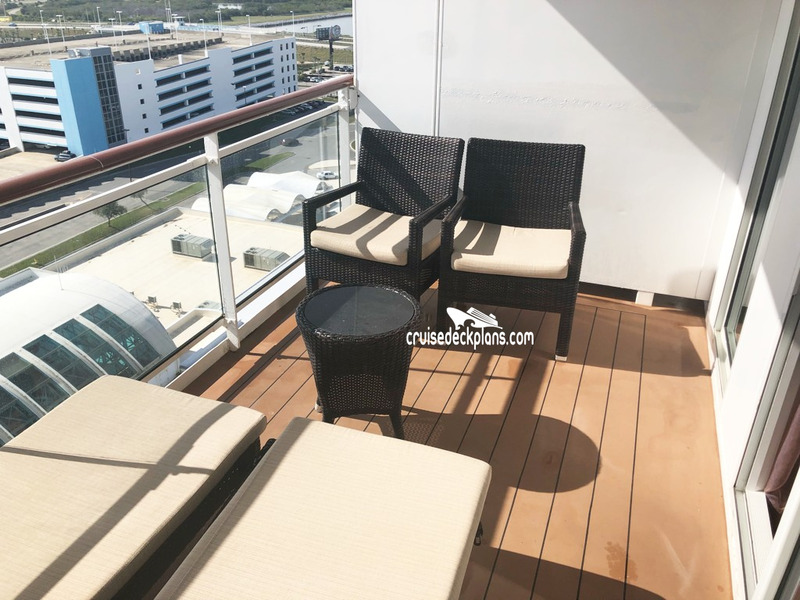 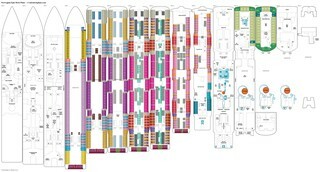 17032 and 17035 have a very large lounge area, super walk in dressing area and bathroom with a large open balcony, there is to the side of the balconies the shafts from the deck that actually do not affect your view outwards. 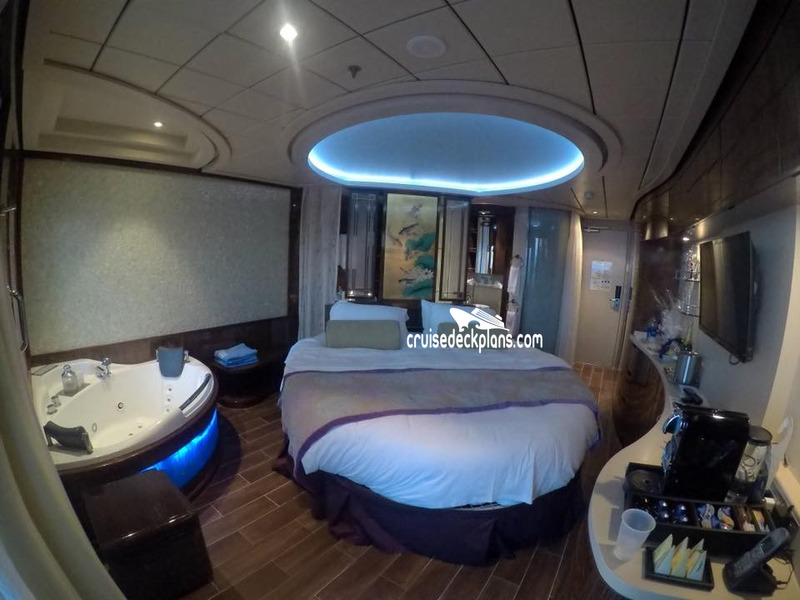 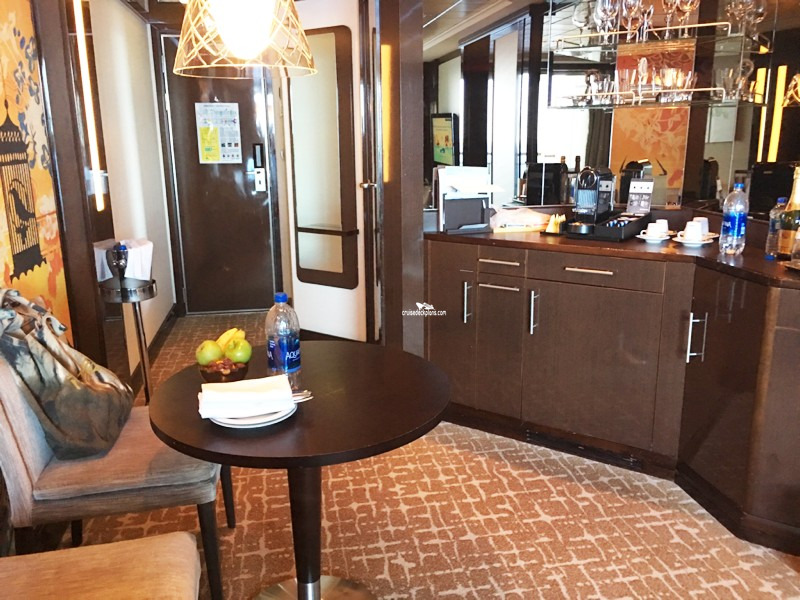 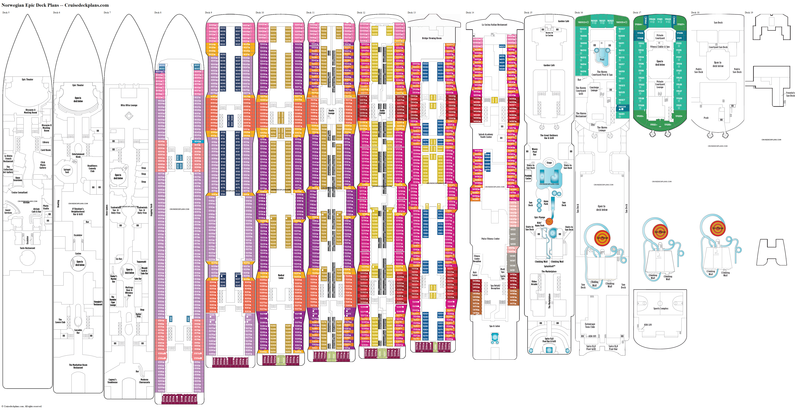 17030 and 17033 have a fantastic wrap around open balcony to the pool deck and side of the ship, again with the same superbly appointed lounge and bathroom. 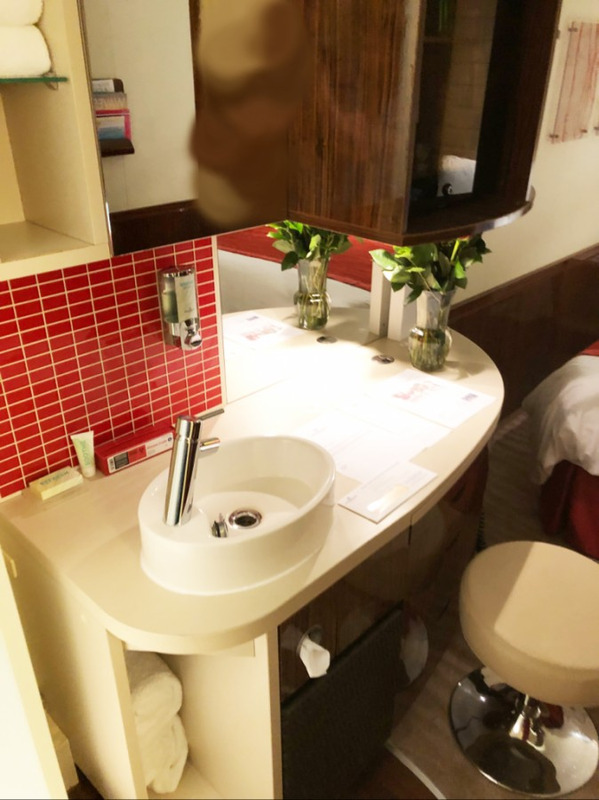 Amenities also include a distinctive key card, butler available to unpack luggage, bottled water, full in-suite breakfast menu, breakfast and lunch at specialty restaurant, fresh flower arrangement, and plush slippers and towels. 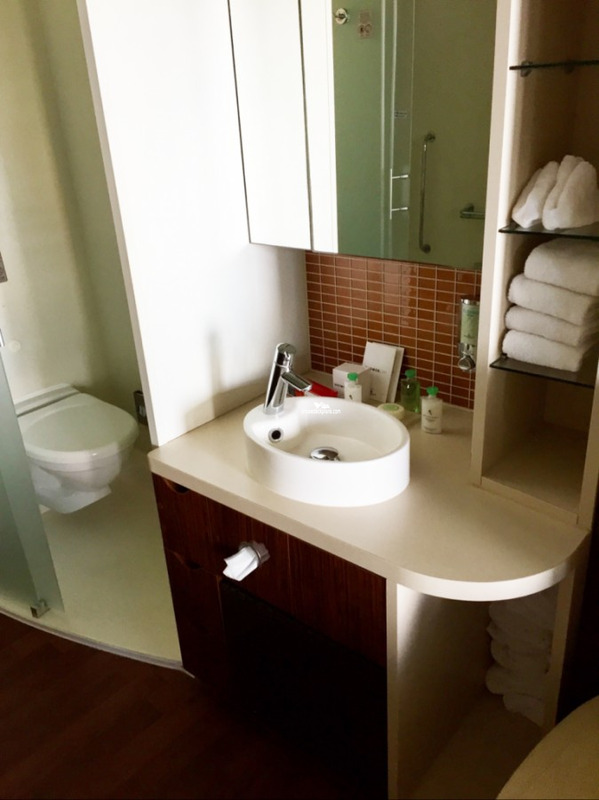 Amenities also include a distinctive key card, butler available to unpack luggage, bottled water, full in-suite breakfast menu, breakfast and lunch at specialty restaurant, fresh flower arrangement, and plush slippers and towels. 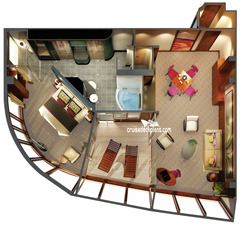 Includes access to the Courtyard complex. 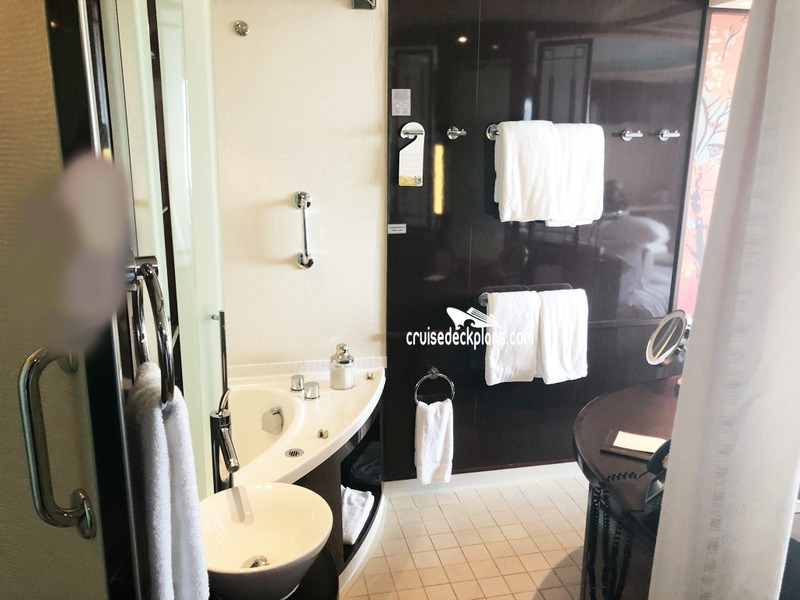 Spa Suite category S9 has in-suite hot tub, domed ceiling with guest-controlled colored room lighting, deluxe circular bed, private key card entry to Mandara Spa and fitness center, 24-hour access to the Thermal Spa Suites.